Saliva is often seen as an agent of digestion. But do you know that it also helps your teeth? Saliva helps protect teeth from tooth decay and gum disease. How? Read on to learn more. 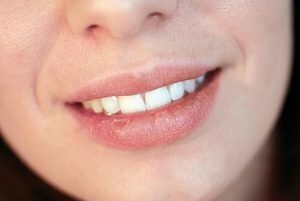 How does saliva help your teeth? Saliva is made of water, protein, mucus, and amylase (helps in digestion). It is secreted by the small organs found in the lips, cheeks, tongue, and other parts of the mouth. The teeth are covered by a thin film of saliva, which contains antimicrobial agents that kill decay-causing bacteria. It also sweeps and removes food debris from the teeth. Saliva is also involved in the remineralisation process. Lost enamel is rebuilt with the help of minerals found in saliva. What happens when there isn’t enough saliva? This condition is called xerostomia or dry mouth. It is associated with the decrease of saliva supply in the mouth. When this happens, bacteria thrive and attack your teeth leading to decay, bad breath, and gum disease. At first, the results of dry mouth are minor and not readily felt. But delay in addressing the issue can compromise your oral health and general wellbeing. Medications – some medications have dry mouth as a side effect. Such medications include those that are for managing depression and high blood pressure. OTC drugs such as antihistamines, decongestants, muscle relaxants, and pain relievers can also cause temporary dry mouth. Lifestyle – smokers and alcoholics have a higher risk of developing a dry mouth. Those who chew tobacco are also prone to dry mouth. Ageing – as one ages and approaches the golden years, the body slows down a bit, making it vulnerable to diseases including a dry mouth. Dehydration – Certain conditions such as fever, excessive sweating, burns, vomiting, and blood loss can lead to dehydration. Keep yourself hydrated to avoid dry mouth. Medical problems – people who suffer from medical problems such as Sjogren’s Syndrome, diabetes, Alzheimer’s disease, stroke, and sleep apnoea also have a higher risk for dry mouth. Aside from the unusual dryness of your mouth, the following are the symptoms of dry mouth. Prevention is the best way to keep you from dry mouth. Schedule regular dental check ups to keep your teeth at their best. However, if the cause is a medical condition, there is little that your dentist can do. Always keep yourself hydrated, make it a habit to drink plenty of water, and talk to your doctor. Keep your teeth at their best with the help of your A Plus Dental dentist. If you think you have a dry mouth, see us right away! The last thing you want is to worsen the problem by delaying treatment. 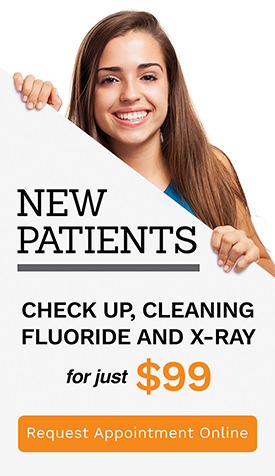 Check up, Cleaning, Fluoride treatment and two X-rays for only $99!